Ahmedabad is the financial capital of the most developed state (Gujarat) of India in recent times under the leadership of our chief minister Shri Narendra Modi. 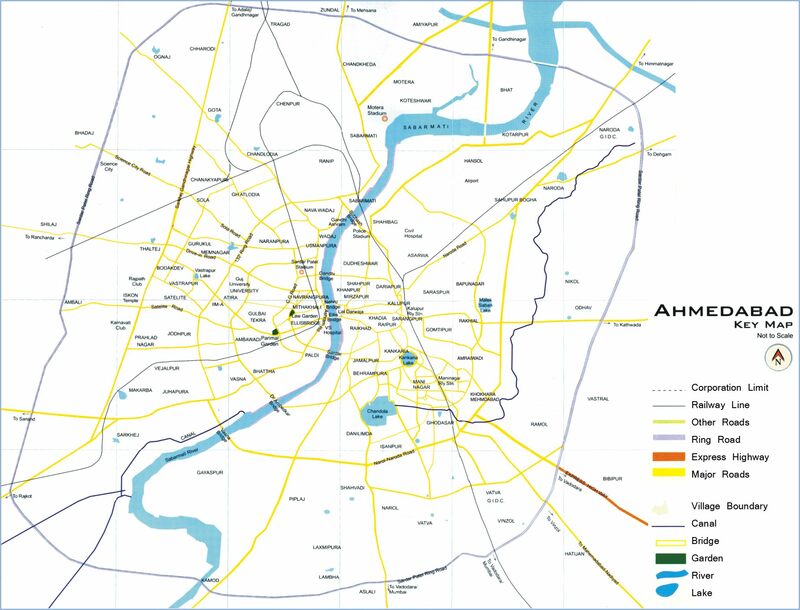 Ahmedabad is also known as Amdavad by fellow Amdavadis. Amdavadis are tagged as the shrewdest businessmen in the world and they have a unique style of their own. Business runs in the blood of every average amdavadi. Amdavadis proudly claim it as the safest city in the world, prime reasons are it being a dry state so there are fewer nuisances of drunkards and hence women feel safe here. Nowhere in the world will you find women enjoying the freedom at night which they do in our own Ahmedabad. Ahmedabad has many khao galis (Street Food Joints) like Manekchowk, Vastrapur etc. Manekchowk is the busiest street of Ahmedabad on any given evening and Vastrapur Lake is catching up with its status. Ahmedabad has the world’s oldest mall culture ‘Gujari Bazaar’ set up by the founder of Ahmedabad, Sultan Ahmed Shah. Ahmedabad has many beautiful lakes like Kankaria Lake, Vastrapur Lake, Chandlodia talao etc. Amdavadis prefer to spend their evenings taking a stroll and enjoying the street food outside these lakes. Kankaria Lake is the oldest lake of Ahmedabad. Ahmedabad who has outshined in the world due to its Dabbang nature and Sportsmanship like Geet Sethi a five time winner of the World Pofessional Billiard Championship and a recipient of India’s highest sporting award the Rajiv Gandhi khel Ratna award and Parthiv Patel ,a cricketer who has been a member of Team India in a number of matches and has played for the Chennai Superkings,Kochi Tuskers Kerala and currently playing for the Deccan Chargers in the high profile cricketing extravaganza IPL(Indian Premier League). The first all-vegetarian PIZZA HUT in the world was opened in Ahmedabad.KFC and Mc’donalds have a separate staff uniform for serving the vegetarian delicacies. Some of the most visited Gardens in the City are Law Garden, Victoria Garden and Bal Vatika. Kankaria lake has been developed recently into a novel Amusement Park. AMC has also initiated the Sabarmati Riverfront Project with an objective of environmental improvement with provision of slum rehabilitation for poor living on the river banks. Ahmedabad has India’s first revolving restaurant “Patang” which is a treat to watch whenever you pass from Ashram Road. Ahmedabad’s pol culture is world renowned and many foreign tourists visits Ahmedabad every year just to have the look and feel of the heritage of this beautiful city. Ahmedabad is known for Das Khaman, Karnavati Dabeli, Chetna Gathiya, Jasuben Pizza, Danny’s Coffee Bar, Bobby’s Maskabun, Rambhai’s Kitli, Gujarat Daalwada, Honest Pav Bhaji, Jassi De Parathe, Asharfi kulfi, Cheap Pizza hubs and a thousand more eating joints. Ahmedabad’s Bus Rapid Transit System (BRTS) is the most successful initiative of its kind in India. Ahmedabad’s Motera Stadium has witnessed many scintillating thrillers including the famous win by India against Australia in the super eight match of 2011 world cup. Ahmedabad Blog, which is by far Ahmedabad’s biggest and the best web portal brings you these facts and figures. Ahmedabad, truly you are incredible! Year of Establishment: 1411 A.D.
Commencement of the municipal works by ‘Town wall fund committee’: 1834. Establishment of Municipal Corporation – 1950. Area of the city: 464.16 sq. km. Well connected with Airport, Railway and Bus station, State and National highway-No.8. New Delhi – 1025 Km. Yes, we love Ahmedabad, You have provided very helpful information about Ahmedabad for all all visitors and tourist. Why isn’t October included in best/ideal time to visit Ahmedabad, considering the world famous dance fest. NAVRATRI starts in october ? !